I have always said this and I will continue to say this, "the black woman is my heroine and my biggest inspiration". Once again, I received a reminder of why I believe this to the core of me because while browsing though the internet, I stumbled across the story of an 11 year old black girl by the name of Naomi Wadler. At the recent 9th annual Women in the world summit, she gave a powerful closing speech addressing the lack of awareness of gun violence disproportionately affecting the Black woman, a group that has the highest homicide rate in America. 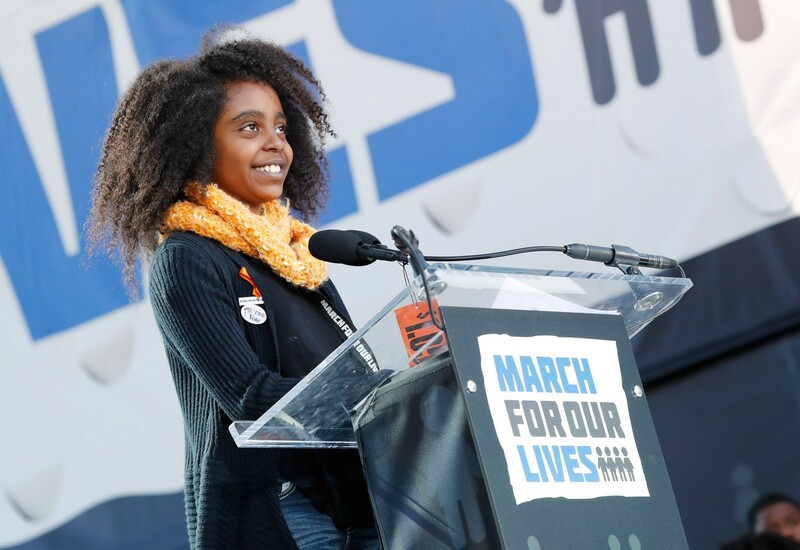 Wadler wanted to establish herself as a vessel for the Black woman, especially being on such a huge podium to acknowledge the unheard African-American woman who don't make national news when they are victims of gun violence. The young 11 year old started her debut as a social activist by organizing a walk out at her school with the help of friends and school staff on March 14th, 2018. Over 60 students from her elementary school walked for a total of 18 minutes; they added a minute to honor the life of Courtlin Arrington, an African-American who was victim of gun violence after the Parkland shooting. I'm glad to see such a young girl using her voice to open conversation amongst her nation, as well as include all the parties concerned in the conversation. This story has inspired me so much, it makes me want to use my own voice in order to let my thoughts and opinion be heard.